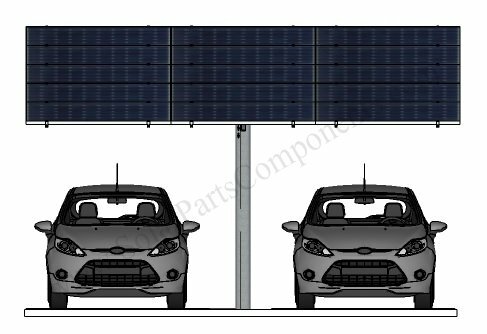 Photovoltaic panels for parking structures is very suitable for South America area, since it’s abundant sunlight weather . 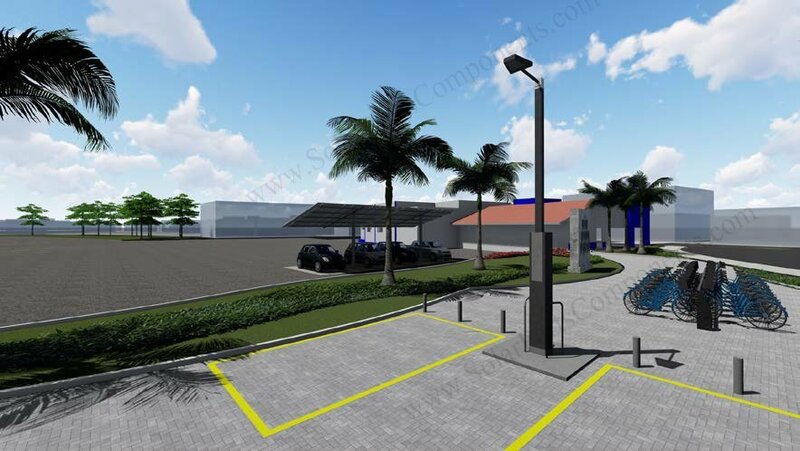 Renewable energy systems have huge market in Brazil . 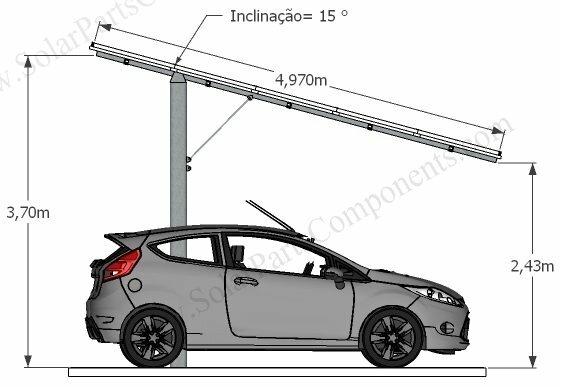 Following is one instance which we design for carport with solar panels , Brusque, Santa Catarina . 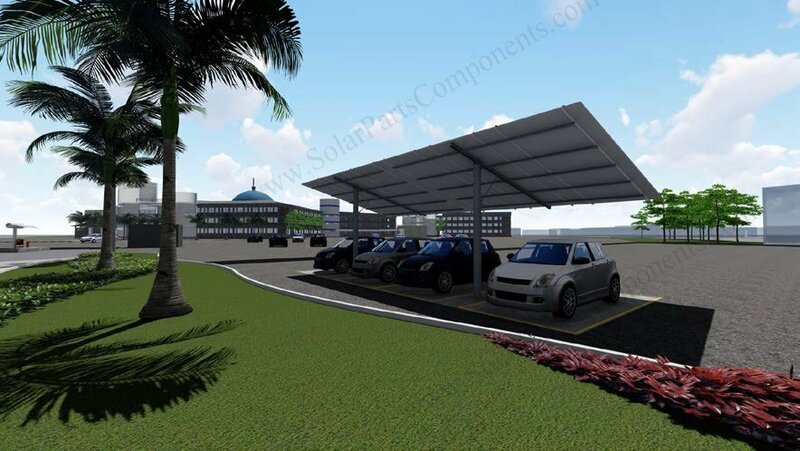 It’s design for carport which can park 4 vehicles , as designed we use 50 units of poly solar panels on the top . 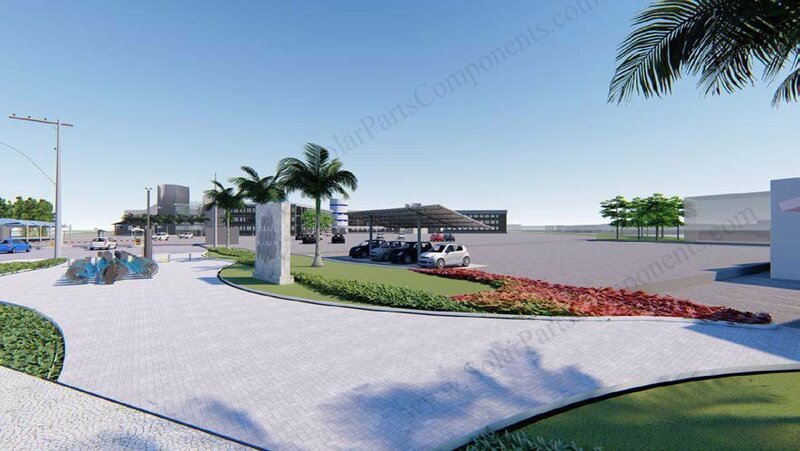 Each polycrystalline silicon PV module is 1648*990*35 in size with 270 Wpeak in power . 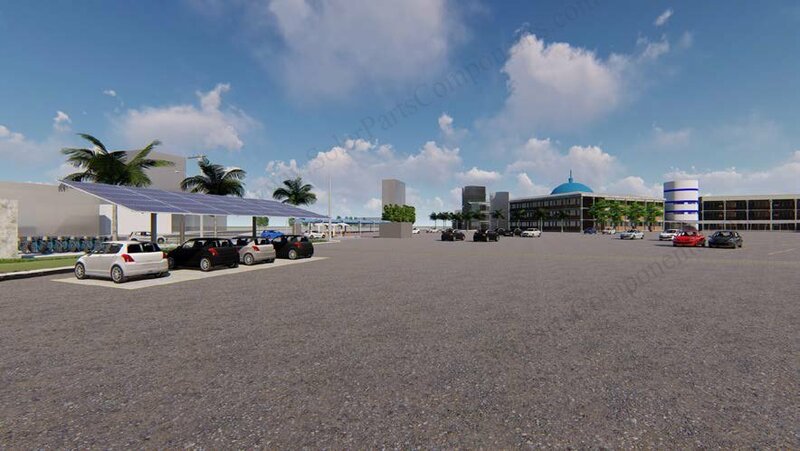 Solar panel layout is landscape in 5 rows X 10 columns , tilt angle is 15 degrees. 30 m / s in wind speed , not snow loading requires . 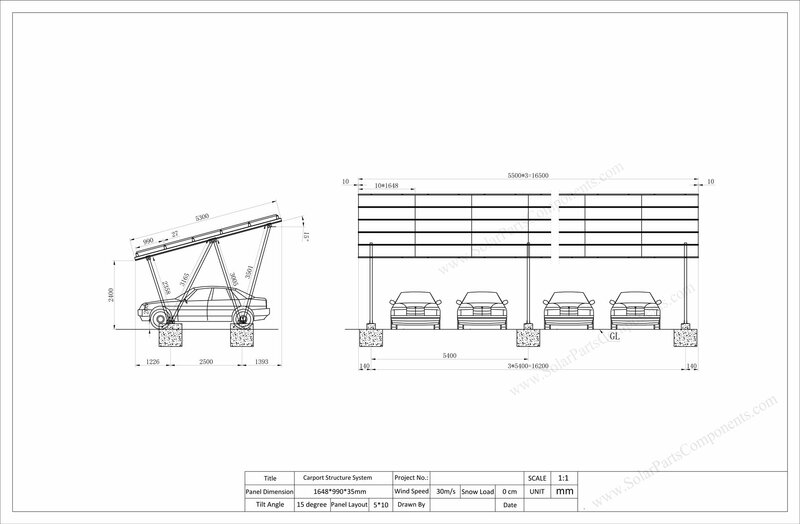 Base on specification above, we choose our patented aluminum rail system for this carport constructure. 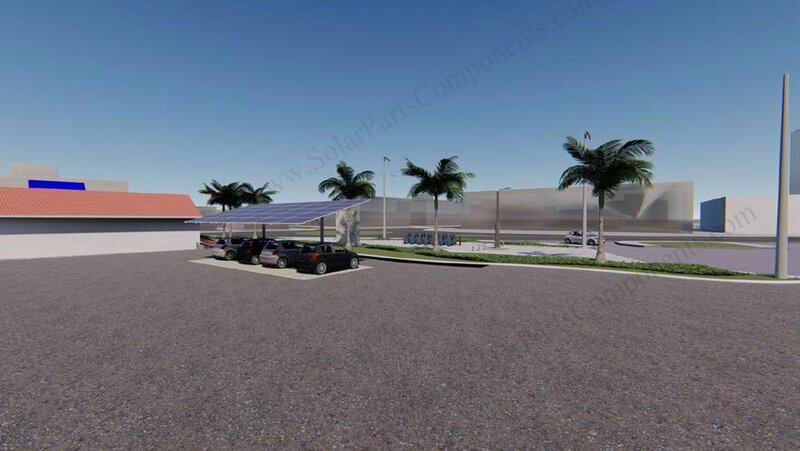 Welcome get more details from www.SolarPartsComponents.com for this carport solar mounting system .